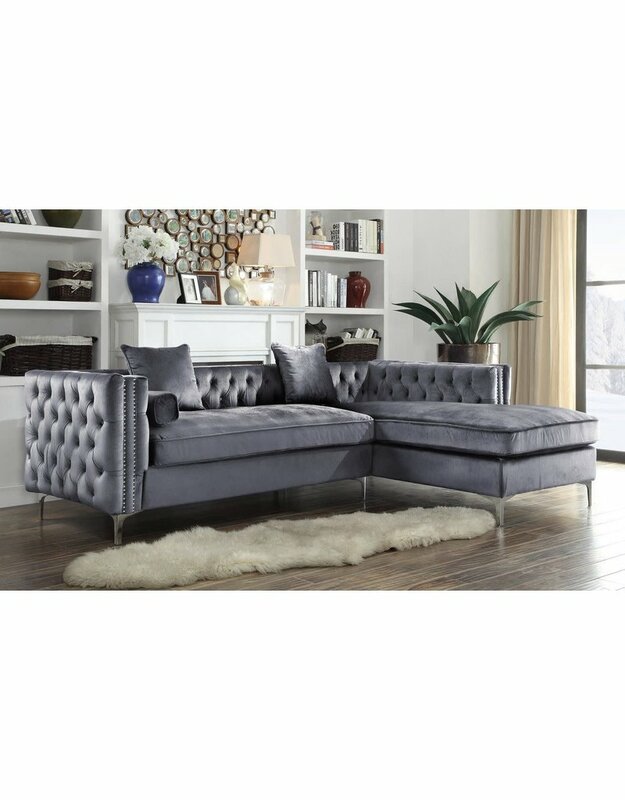 This brand new modern Chesterfield styled sectional is contemporary, chic, and soft! 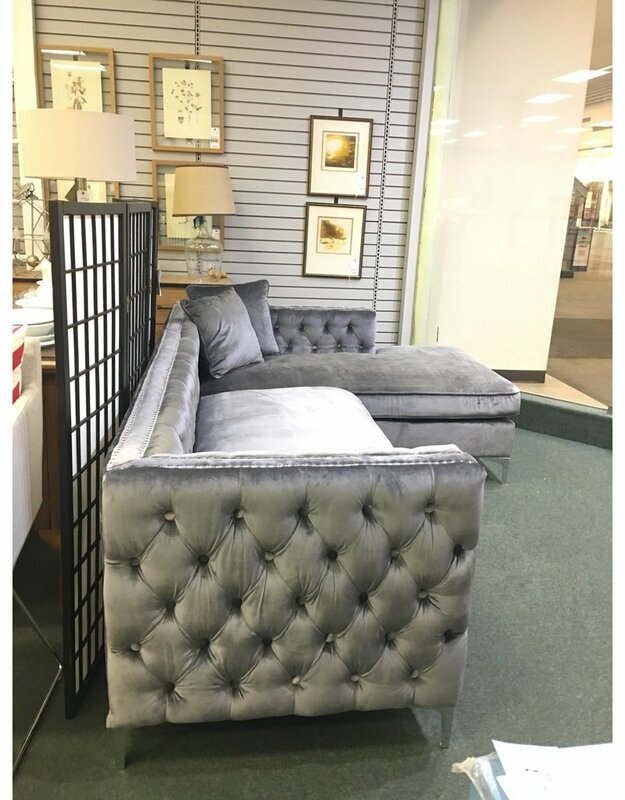 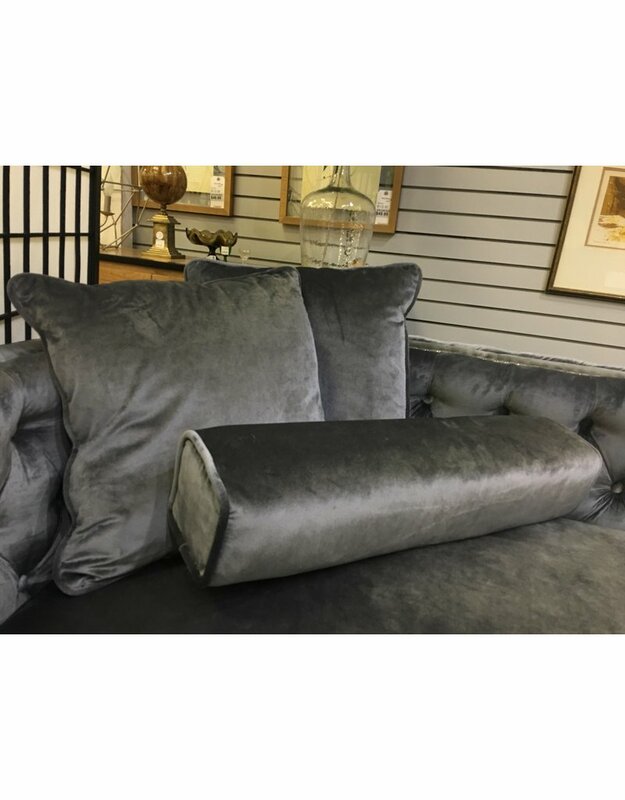 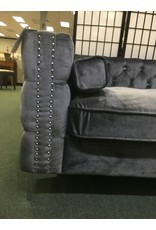 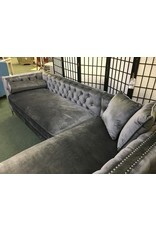 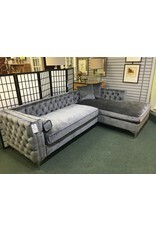 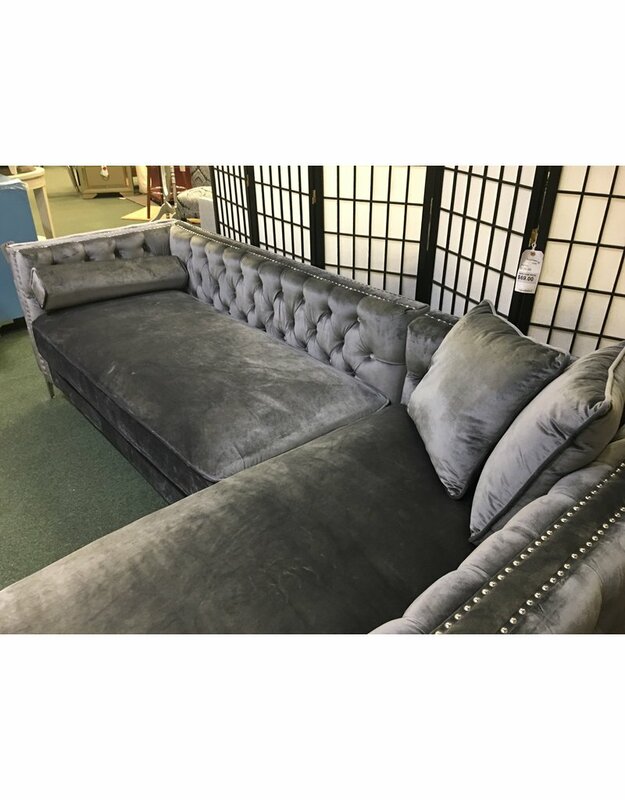 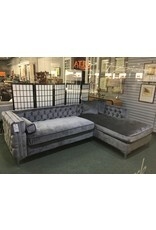 Upholstered in darker gray velvet fabric accented by shiny silver nailhead trim detail and deep button tufting. 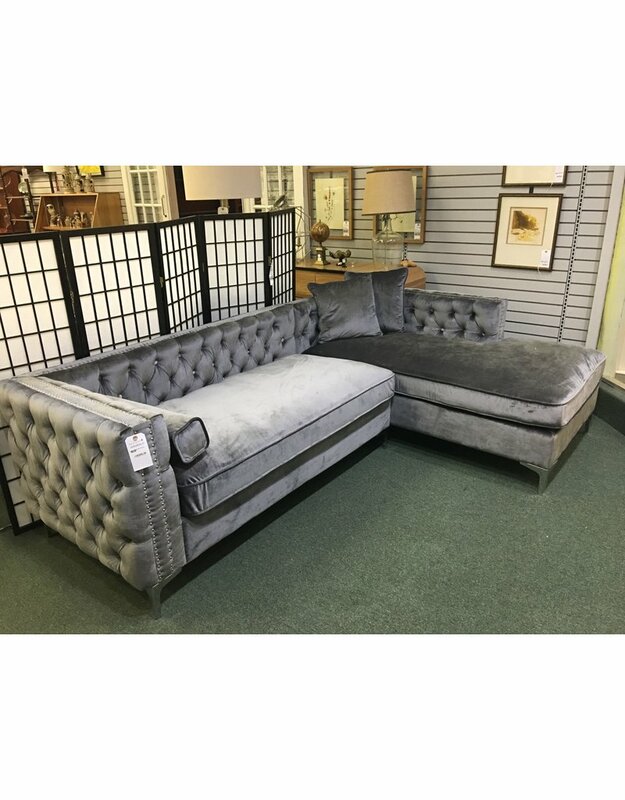 The squared arms of the sofa and chaise create a crisp clean twist on the typical rolled arm styling of a traditional Chesterfield sofa. 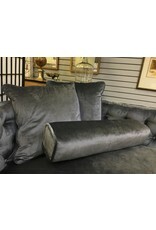 Includes 3 matching throw pillows. 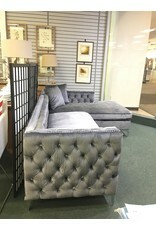 **Please note the final image depicting slight cosmetic flaws at the far back leg of the chaise. 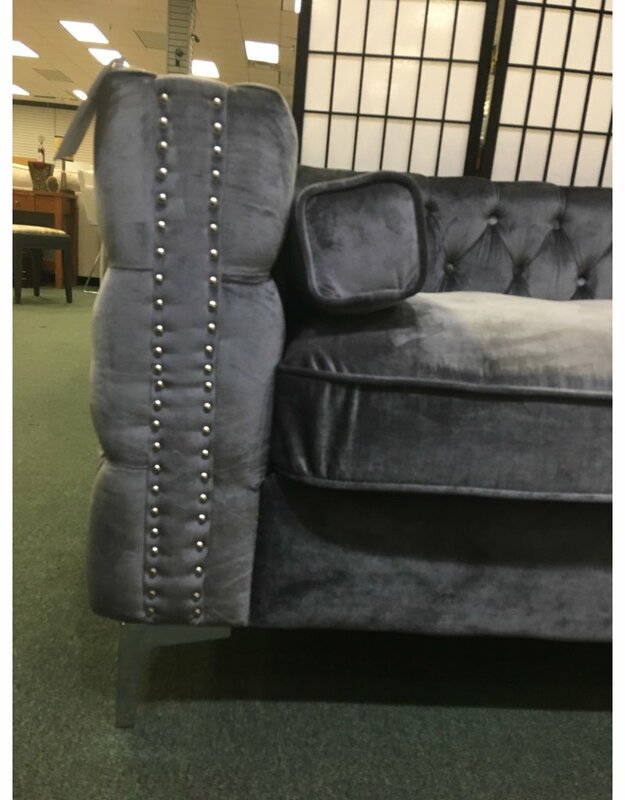 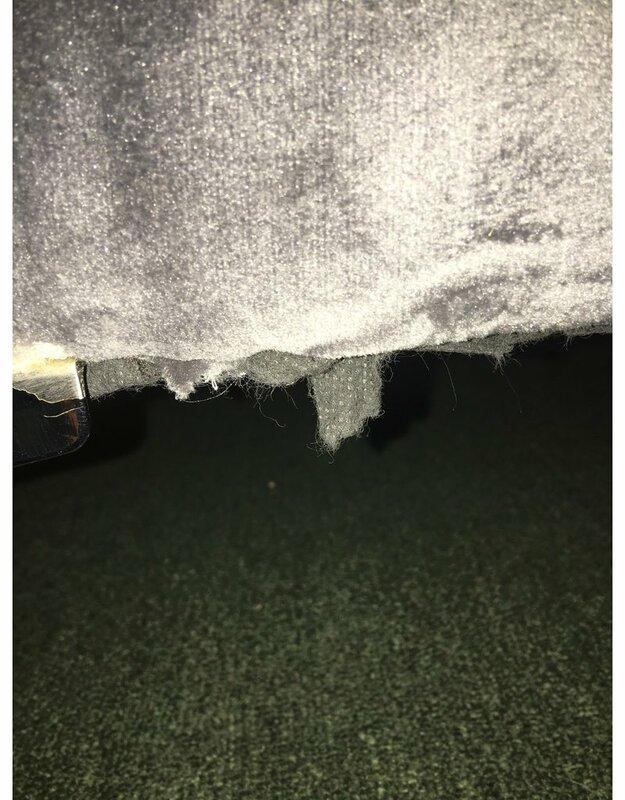 The defect is not visible from the front of the sectional. 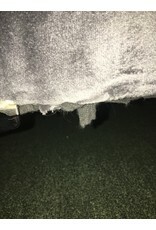 Flaw measures roughly 2". 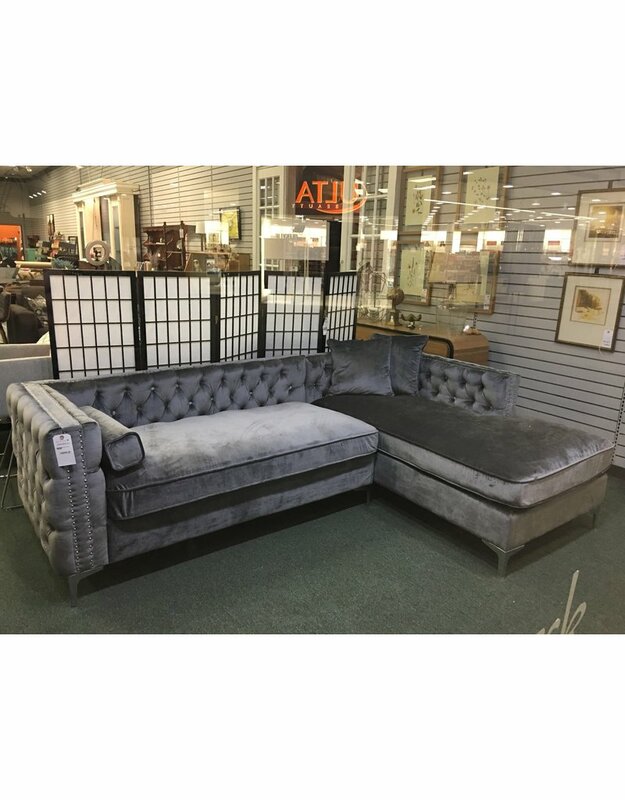 100" x 68" x 30"